President Obama’s nominee for heading the Department of Interior, Sally Jewell, is noteworthy not for who she is, but for who she is not. The Washington resident is a mountaineer, an ultra-marathon runner, a CEO of the outdoor gear giant REI — and a former bank executive and oil company engineer. She appears to be some kind of archetypical uber-woman of the Pacific Northwest, jogging up Mt. Rainier on coffee breaks. A Seattleite (former mayor Richard Ballinger) has been Interior Secretary before, and so has a woman, Gale Norton. But what sets Jewell apart is that she’s not a politician. For many decades, Secretary of the Interior has been the plum post of Western politicians: Cecil Andrus, Bruce Babbitt, Dirk Kempthorne. All shared a background in some level of political position, either elected or high in the apparatus of government or partisan machines. Interior is bloody political turf because the stakes are high and the money is big. Land is wealth, and the Interior Department manages millions of public acres, from scablands to national treasures such as Yellowstone and the Grand Canyon. The land includes oil and gas and big game animals and ski resorts and other precious resources. When folks compete to divvy that up, they do it with sharp knives. The mere fact that Jewell is President Obama’s candidate shows that a more mature view could be emerging. Jewell knows there is more than one way to wrest wealth from land. Yes, there’s a place for using the land to provide food, fuel and fiber. America needs all that. But in the modern world, other values rise like cream as well. Jewell’s billion-dollar REI is part of a much larger outdoor recreation industry. America’s great public landholdings are valuable not only for crude oil, natural gas and livestock feed, but also for providing scenic getaways for weary urbanites, fishing and hunting spots for blue-collar families, streams for salmon and a host of other species, and clean water for millions of people downstream. It’s hard to trace Jewell’s record to assess how she might approach natural resource disputes in our public lands. But clues point toward a mind that understands the value of consensus. In her home state, Jewell’s reputation is a pragmatist. She’s supported efforts like the Yakima Basin Integrated Management Plan. That’s a classic example of centrist groups, both from conservation and agriculture, compromising and solving problems. Hard-core folks on both extreme throw rocks at the plan, which tends to indicate that it’s the kind of collaborative conservation that gets things done. Can Jewell’s kind of professional experience get good things done in today’s Washington? Is the fortitude that got her to the highest peak in Antarctica enough to endure the posturing of Congress? 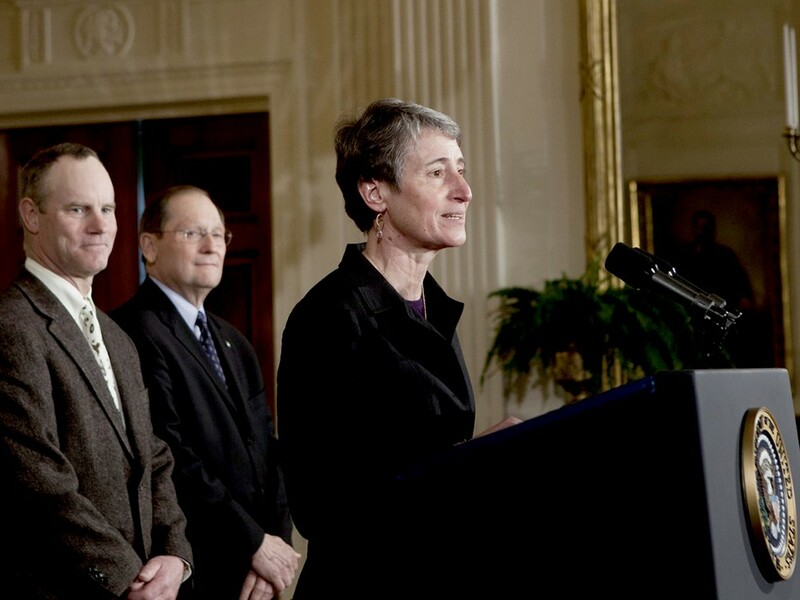 A good guess is that Jewell’s appointment signals that Obama is setting the stage for a conservation legacy. And if confirmed, Ms. Jewell can count on one thing: She is headed for the adventure of a lifetime. Ben Long lives in Kalispell and has been a card-carrying member of REI since he was in junior high school. This column first appeared on High Country News (hcn.org).